You have now taken the title of Khan from the weak leader who came before you. Promising your people more land to take, more horses to ride, and women to know. This is the promise of every Khan. And they rule until they are proven to be weak by their fellow warriors, and someone takes the title from them. But you are young, and strong. You will not let anyone take the title of Khan from you. And until someone tries (and fails) you will continue to carry on in the manner of your people. You will take what you wish. Fighting for what you want. Sword in hand, you will make your mark on the world. You will be the leader of legends. Thousands will follow you. Now, you just need to look like a fierce warrior. So, take off that hoodie, graphic tee, and those ripped up jeans, and slip into this Men's Medieval Warrior Armor. 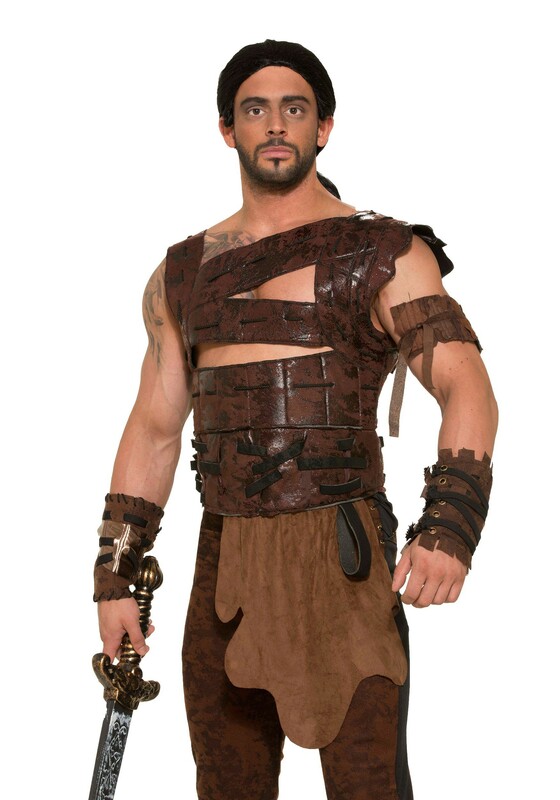 The faux leather armor will make it look like you can take on anyone. But don't forget to also get a sword, just in case someone actually does try to take the title of Khan away from you. However, they would only do that if you aren't keeping the promise of every Khan to them. If you haven't taken on new lands, met new women, and most importantly if you haven't gotten them more horses. Just keep your promises, and you will keep your title.